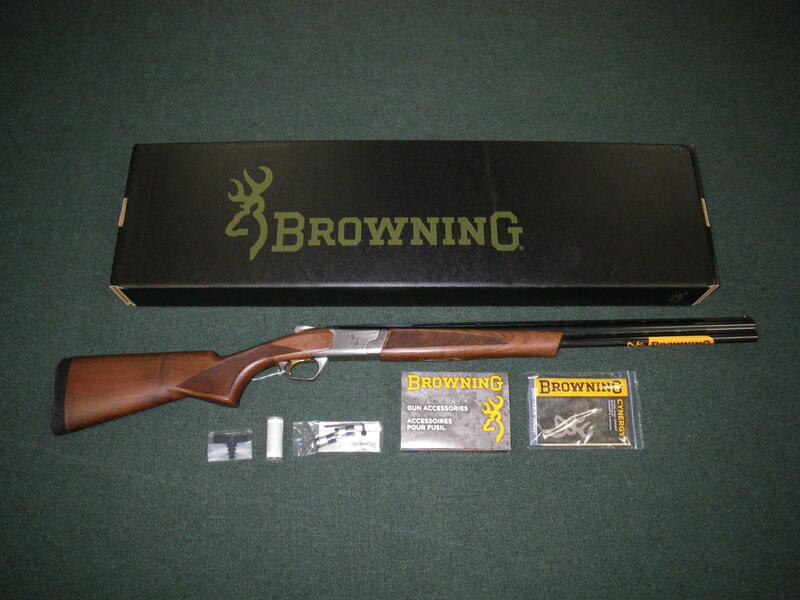 Description: You are bidding on a Browning Cynergy Field shotgun in 410 Gauge with a 26" barrel and a 3" chamber. The Cynergy made technological bounds with the invention of it's low profile MonoLock hinge, and innovative recoil pad. It has long appealed to a younger generation of shooters with it's contemporary looks. The Cynergy field takes the technological advantages and looks, and tempers them with a more traditional style recoil pad that will allow for customizing the length of the stock to the shooter. Displayed images are stock photos. Any questions please feel free to ask (our phone number is in the additional information tab above).